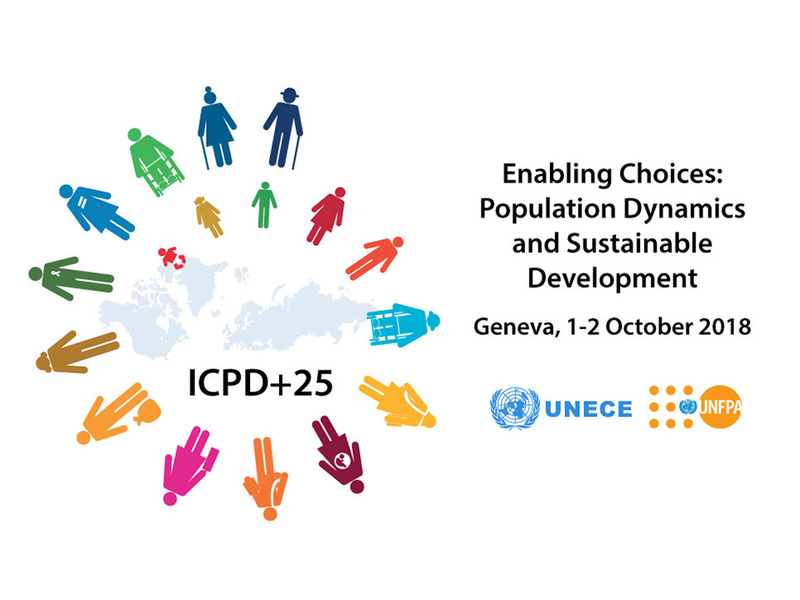 Ahead of the 25th anniversary of the ground-breaking International Conference on Population and Development (ICPD) and its Programme of Action in 2019, the Regional Conference will assess progress and identify gaps in the implementation of the ICPD Programme of Action in the UNECE region. Organized jointly by UNECE and UNFPA, the Conference further aims to strengthen the linkages between ICPD and the 2030 Agenda for Sustainable Development and reaffirm commitment to implementing the ICPD Programme of Action in the region. A report covering trends and developments since the last review in 2014 will inform discussions at the Conference. The report and the Conference outcome, in the form of a Rapporteurs’ summary, will feed into the global review to take place at the 52nd Session of the Commission on Population and Development (CPD) in 2019. Participants are requested to complete the registration form at the link below by 17 September 2018. Please note that Conference registration is only open to UNECE Member States official delegations, representatives of international organizations, NGOs under active consultative status with the United Nations Economic and Social Council (ECOSOC) and invited experts. National delegations, international organizations, academia, civil society representatives and youth are invited to subscribe for interventions during the plenary session and/or one of the three thematic sessions at the Conference (deadline 26 September). The ICPD+25 Youth Dialogue Platform is an online space where young people can openly discuss topics like health, and in particular sexual and reproductive health; employment; education; and youth participation with their peers from the UNECE region. These contributions will help influence the public debate in each country and shape the conversation at the ICPD+25 Conference in Geneva. Moreover, up to 10 activists will be selected among the most active participants to take part in the preparatory meetings of the ICPD+25 conference. This platform was created by UNFPA Eastern Europe & Central Asia and UNECE in cooperation with Teenergizer and PETRI Sofia. The views expressed on the platform however are those of the contributors, and do not necessarily represent the views of UNFPA, UNECE, the United Nations or any of its affiliated organizations. Civil society organizations, academia and the private sector are invited to participate in the CSO Regional Consultation Meeting on Sunday, 30 September, to discuss the civil-society engagement in ICPD+25 in the UNECE region. The consultation dialogue will provide CSO input into the progress made during the past five years since ICPD Beyond 2014 in the region; on translating commitments into action; and on developing priorities for follow-up. Participants are requested to compete the registration by 17 September 2018.